Hockey Manitoba is proud represent a rich tradition of hockey excellence for 100 years. Our sport is embedded into the fabric of our province’s society therefore it is an honour to be a part of the passion and dedication shared by so many fellow Manitobans! By 1906, professional hockey had taken control of the Stanley Cup, leaving the senior amateurs with no trophy to play for until 1909, when Sir Montaque Allan donated a cup in his name. The Allan Cup would be ruled like the Stanley Cup, as a challenge trophy and governed by a Board of Trustees. By 1914, the task of organizing a national competition for the amateur title had become quite onerous. Monitoring the movement of players was growing more difficult as teams loaded up to win. The fact that a player had played professionally was often ignored. The sport was now firmly entrenched in every community across the country with each province facing an array of challenges in regulating the sport. In order to protect the amateur integrity of the Allan Cup, Claude Robinson, a Trustee, put forth fellow Winnipegger, J. D. Pratt’s idea, to form a national association that would undertake the regulation of hockey affairs across the country. The objectives would be to create uniformity of the rules governing the game; standardize rink sizes; classification of leagues and players; arrange schedules to finish at pre-determined dates to enable Dominion championship play; and suppress professionalism and player movement in the amateur ranks. In Manitoba, there had been discussions on organizing a provincial hockey body for many years. Finally, in June of 1914, the province’s hockey leaders gathered for the creation of the Manitoba Amateur Hockey Commission. 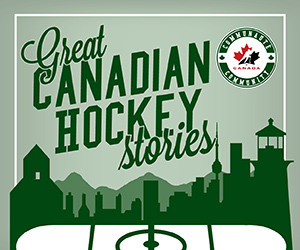 Shortly after, Manitoba would join seven other provincial associations in Ottawa on December 4, 1914 as the Canadian Amateur Hockey Association (now Hockey Canada) came into existence. It was a major step in organizing the game. Manitobans would play a key role with Dr. W.F. Taylor elected the first CAHA President and Claude Robinson of Winnipeg elected the first Secretary of the association. With the CAHA in place, the challenge system of determining the Allan Cup winner was discarded in favour of a playoff system of East versus West Champions. On December 26, 1914 the Manitoba Hockey Commission held its first annual meeting. The first matter was changing the organization’s name to the Manitoba Amateur Hockey Association (MAHA) in accordance with the national body’s name. Player registration became a priority and rules were put in place to restrict players from slipping from team to team and to keep the professionals out of the amateur ranks. Cards were issued to identify a player’s club and their claim for amateur eligibility. It was determined that all leagues in the province be encouraged to work within the MAHA. Failing to do so would exclude that league from competing for the nation’s top amateur prize, the Allan Cup. Over the next 100 years, the MAHA has presided over a legacy of champions in all categories of hockey. Our organization continues to lead the development of hockey in the Province at all amateur levels. In 1995 the Association registered the business trading name “Hockey Manitoba”, and will also be changing its legal name to Hockey Manitoba in 2015. Each season Hockey Manitoba registers approximately 30,000 members through various hockey programs. This includes all coaches, officials, players and volunteers who represent a wide demographic of ages from both genders and a variety of cultural backgrounds. To develop a planned program of leadership in all areas related to the development of Hockey in Manitoba. To promote, form and govern senior, junior, recreational and minor hockey for both males and females and such other categories which may be established within the province of Manitoba. To secure the enforcement of the rules of the game of hockey as adopted by Hockey Manitoba and to decide and adjust all matters in disputes between various clubs affiliated with Hockey Manitoba. To conduct matches between member clubs to determine provincial champions and representatives to inter-provincial championships and Hockey Canada Championships. To encourage, develop and foster amateur hockey in the province of Manitoba. In hockey opportunities for all people regardless of age, gender, colour, race, ethnic origin, religion or socio-economic status. In the importance for participants to develop dignity and self-esteem. In the Province of Manitoba, its tradition in the game of hockey, and the proud and successful representation of this tradition around Canada. In the benefits of personal and physical well-being. Consistent visual standards are essential in creating a strong brand identity. By adhering to these standards, we ensure the proper representation of our organization’s image, while continuing to build the equity of our brand. Hockey Manitoba’s visual standards reflect our pride in representing a rich tradition of hockey excellence in the community. It also reinforces our image in the non-profit sports community as an established and professional organization. Remaining consistent in the way we represent ourselves enhances the clarity and focus of our messaging to our vast and ever growing audience.